Do you have a question? You could sew this onto a child's tee, pillowcase or backpack for a fun touch. 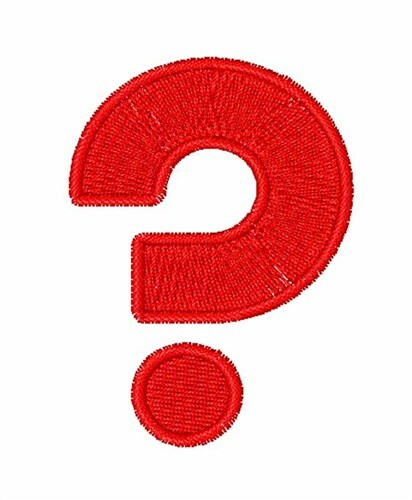 Easy Embroidery is happy to present Question Mark machine embroidery design which has 3158 stitches and is [35.24 mm x 51.79 mm] large. If you would like to view more embroidery patterns please search on our embroidery designs page.